Subscribe to Paul Phillips Soulful Grooves Solar Radio Show on Apple Podcasts to get new episodes as they become available using the Apple Podcast APP. Catch me live playing up lifting upfront and classic soulful house with resident DJ's Mark Randle and Steve Hodson. 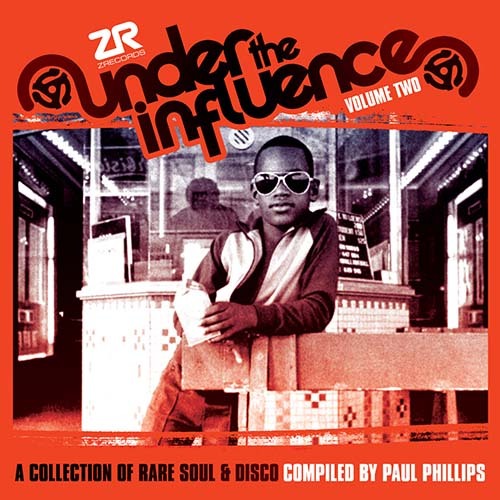 My compilation CD Under The Influence Vol.2 for Z Records features some of my favourite lesser known Disco, Boogie and Soul tracks from the 70s and 80s that for one reason or another went under the radar at the time of release. The vast majority of these releases went unnoticed other than in some cases exposure in their local area of release via local radio airplay and sales which in some cases would lead to a minor local hit.